Destiny is not you deciding what you want to do with your life and leaving God to work it out. That would put you at the center and make God your lackey, as though He were here to promote your cause, or bring your plan to pass. Destiny is not for you to decide, it's for you to Discover - what God has planned for your life. And here's the thing, if you don't want to know, He won't tell you. The slightest bit of Unwillingness will keep you from hearing His voice. Even as a Christian, if you don't believe Him, don't trust Him, or don't want to know - your greatest moments of clarity will seem distant and foggy. You reap what you sow, remember? God is not mocked is the first part of that verse. The way we live and act and speak mocks God. We carry on as though He doesn't exist, or as though He's very weak - like some senile benevolent old grandfather in Heaven, who doesn't know what's going on in our lives. Yet the Bible tells us that the very hairs of our head are all numbered. Astronomers tell us that there are over one hundred billion galaxies in the universe, and that there are more than a hundred billion stars in our galaxy alone. Yet God knows the stars by name - that's what the Scripture says! Isn't that amazing. You know what the word Universe means? One spoken sentence. I can't say that without smiling - Look at God! Praise His Holy Name! That's how He did it - He speaks things into existence. Go check, it's in the Bible. Everything He created in Genesis says God Said - and it was, God Said - and it was, God Said - and it was! The reason God wants you to live by Faith is because He lives by Faith. It's the way He does things. He considers something within Himself - then speaks it into existence, bam! We'll just call this the Big Bam - as opposed to the other one, which they can't explain at all. Since they have no idea why it banged, how it banged, or what it was doing before it banged - it just banged. Those paths are very intentionally avoided because to take one step on any of them would lead directly to design or purpose, which can only come from some sort of Intelligence, which is just another word for . . god. Well they didn't and don't want to admit that, so they got to bangin'. So there was nothing there, then it suddenly turned into something? no, it turned into everything. That takes a lot more faith than I got. God is easy to believe, and easy to believe in. The bang never made a sound, it's nothing but a bunch of rebellious men who don't want God to exist - having a tantrum. Don't buy into it - there's nothing there. The christianity of most who believe themselves to be Christian isn't working for them because they haven't been Discipled. It is a getting up under someone who has what you don't - so you can get it from them. If they were a vessel full of liquid, and you the empty vessel needing to be filled, then the pipeline, the conduit, the funnel connecting the 2 of you would be obedience. Not obedience in some random arbitrary manner - but obedience to God's Word. Discipleship is all about accountability. The accountability of keeping your word, which was given in the form of a promise, when you made that promise to change. Which is all that Repentance is - a promise to change. You can't do it on your own, it is quite impossible. You need help, a lot of help, and a large part of the help God has sent is Discipleship. Everybody wants to go to Heaven, but nobody wants to change - and be made into the image of Christ. If you haven't at least begun the process of Salvation, which is the name of this being changed - you won't make it to Heaven. It isn't accomplished with a prayer anymore than your 1st year on the job ended by filling out the paperwork to get hired, no - that was all done beforehand. If you're in the Clergy, no use quoting sola fide - Faith is an act not a thought. 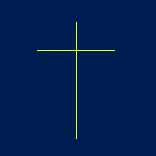 And yes it very much is Faith in Christ and His completed work on the Cross, but you have a part in response to that. Most who call themselves christians have very intentionally, not done their part. Some are just ignorant due to a gross shortage of Teachers in the Body of Christ. Not because they haven't been Called - few have answered the Call. From Genesis to Revelation, God ties all of your Love for Him and all of your Belief in Him to one thing . . . Obedience. Now in doing our part, God has given all of us the ability to become Hungry, Willing or Obedient - so we can be Discipled. I in fact call these the 3 doorways to Discipleship, and teach my Disciples to look for one of these doorways being open as a confirmation of who they are to disciple. I'm not an Evangelist so I don't take my guys out to the street corner and look for followers, and I tell them not to do that because that's not the Call, or the Anointing that backs up that Call - on my life. And in ministering the real Biblical Christianity you only want to do what you're Anointed to do. Which means what God has given you Power to do, because He's Called you to do it. The thing so many won't take the time to do - is to find out what God has Called them to do. They're too busy doing what they've called themselves to do, or what someone else thought was a good idea - but they never asked God. There are many good books and many good movies, but most of the books that have ever been written - shouldn't have been. It's the same with movies, songs, restaurants, even Ministry. I'd say on average probably the top ten per cent in any field are doing something God put in their heart, whether they knew it or not. Which means in every area of human endeavor most of the people in the earth, including most of the people in the church, are not doing anything God told them to do. Which is where the Blessing is at - and the only place His Blessing is at. Remember Blessing means empowered to Prosper, not claiming your own success. The power comes from Him, not positive confession. If you're not empowered by Him, you're not Blessed. It's not competition that makes room for you, it's your Gift that makes room for you. Instead of living in His Blessing people are just doing something, anything, to keep themselves busy, so they don't go crazy. Busy making a living so they can feed themselves and pay their bills while waiting for Death to finally catch up with them. That's why so many people are so frustrated. Well, that's not what God calls life. Jesus came to deliver us from all that mundane, dreary, unrewarding, unfulfilling, frustrating existence that makes up our life in our town. He's got something much better, for everybody on the planet. He said if we'll follow Him (if we're willing and obedient) - we'll eat, live, drive - the Best of the Land, all the time, everyday. In fact, the greek word for His kind of Life is Zoe. The God kind of Life, the uncreated life. It's one of the main things Christ came to do; to change us from created to begotten - from creatures to Sons. It would be like a man changing a painting or statue (something he created) into another man (something he didn't create but could only beget). C.S. Lewis explains this in Mere Christianity - you can only beget something of your own kind. To beget is to give birth to something of the same kind as yourself. If you'll get up under the Authority with Anointing that God has called you to, and stay there - the Gift that's in you will come up out of you! Follow someone who's Christianity is working for them! Until you come into Ministry, you only have as much Anointing [and Authority] as that you're submitted to. That's why most have none - they're not submitted to any. That's how it works. The Gifts, your Calling, the Office of Ministry is birthed while you're being changed under the Anointing. Apostles and Prophets birth Ministry, we see that throughout the Scripture. You don't have to be under us, but you have to be submitted somewhere to a Minister with the Anointing. We're not selling anything to anyone or trying to get any to join us, much of what we say will repel the religion right out of you - and make the half committed partialy obedient undercover christian downright angry. We're telling the whole world including the christian world that they need to get Discipled. Not because we said so - Jesus said so. He commanded it! That's why we have links to websites of other 5 Fold Ministries that walk in the power of the Holy Spirit, that live in the miraculous. It doesn't matter if you like them or approve of them - they have God's Approval! Don't be arrogant, humble yourself. You don't give out the Anointing, you don't have any . . . but you can get some. If you'll let God have His Way, if you'll let Him be God. This isn't a Democracy - it's a Kingdom, remember? Jesus doesn't want your vote, He's not running for office. He's not coming back to be King, He's King already - He's just coming back. The question is is He your King? I didn't say is He your Saviour, I said is He your King? If He is then all your Issues are settled, and you just do what He says. Everybody wants to be Saved from Death and Hell and the Punishment for sin, but nobody wants to do what they're told. Only doers of the Word get Blessed, they're the only ones who will make it. You can be one, you can - that's what Discipleship does - makes you a doer, not just a hearer of the Word. So he can be your King, and when He comes back, you won't run from Him . . . you'll run to Him. That's the road we'll take you down, making Jesus your King - so God can make you a son.